We have processed hundreds of millions of pounds of materials with "0" ZERO security or performance issues because our commitment does not end when the load arrives. Vehicles must pass radiation detection systems at weigh-in time and prior to entry all vehicles are met by armed personnel. At our facilites, security is ever-present; visitors and personnel are pre-screened and ingress and egress is monitored while all facility activity is shadowed by time/date stamped state of the art surveillance systems 24/7. 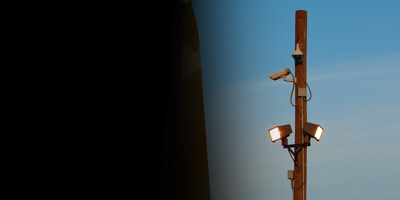 Our operations are conducted with Security as the guiding principle. Protecting employees and the public by preserving the security of US Government property is a top priority; our policies, processes, and procedures are fully compliant and Certified by British Standards Institute (BSI) to the requirements of the International Organization for Standardization's (ISO) 9001:2008 Quality Standard with a defined focus of Demilitarization, Material Recovery and Security. Our facilities and operations are highly secure, our proprietary processing methods are the most efficient in the industry, and our quality of service is unsurpassed. While adhering to the most stringent security guidelines in our industry, our Security Personnel undergo intensive background checks, ongoing training, firearm qualification, and scrutiny on a level commensurate with that of any agency handling Top-secret and Sensitive Military Equipment (SME). HVF's recent achievments include a 97% overall customer satisfaction rating by Dun & Bradstreet™ OpenRatings™ and an "outstanding" operational report card from the US General Services Administration (GSA). Opened for business with the primary purpose of contracting with the US Government, our commitment to outstanding customer satisfaction has resulted in our services being endorsed by Top Government Agencies and Contractors.